A Talent Management agency accelerating digital transformation by nurturing the healthcare architects and builders of the future. 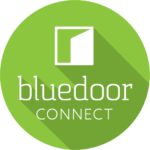 Bluedoor Connect is the first and only Talent Management and Search firm specializing in the rapidly growing digital health sector. Digital Health is the convergence of life sciences, emerging technology and healthcare delivery. As new digital models of care emerge and start to transform the way healthcare is designed, delivered and experienced, so too will the demand for next-generation talent and expertise in this burgeoning field. Whether you’re a digital health start-up looking to scale operations, or a healthcare organization looking to innovate and transform, Bluedoor Connect has unique access to a broad network of talent and expertise to ensure the right fit.